Strategic Partner Spotlight: Houston Lath & Plaster - Zero/Six Consulting, LLC. WE BOTH OFFER SERVICES TO HELP WITH CONSTRUCTION-RELATED PROBLEMS AND OFTEN TIMES, IT’S JUST LACK OF MAINTENANCE THAT DEGRADES A STRUCTURE. Liberty County Court House, and many campuses in the Houston Independent School District. In recent years, HL&P has downsized and evolved into a smaller, leaner company focusing on special projects such as remedial work and are moving toward forensics as they creep up on retirement. Today, they operate with a small core and increase manpower when the need arises. “There is a void to fill in that area and the construction market is cost-driven to where the margin is getting slimmer,” said Tim Rogan. HOW DOES HL&P SUPPORT ZERO/SIX AS A STRATEGIC PARTNER? building. We both offer services to help with construction-related problems and often times, it’s just lack of maintenance that degrades a structure. DESCRIBE THE PERFORMANCE TESTING YOU ARE CONDUCTING WITH ZERO/SIX. 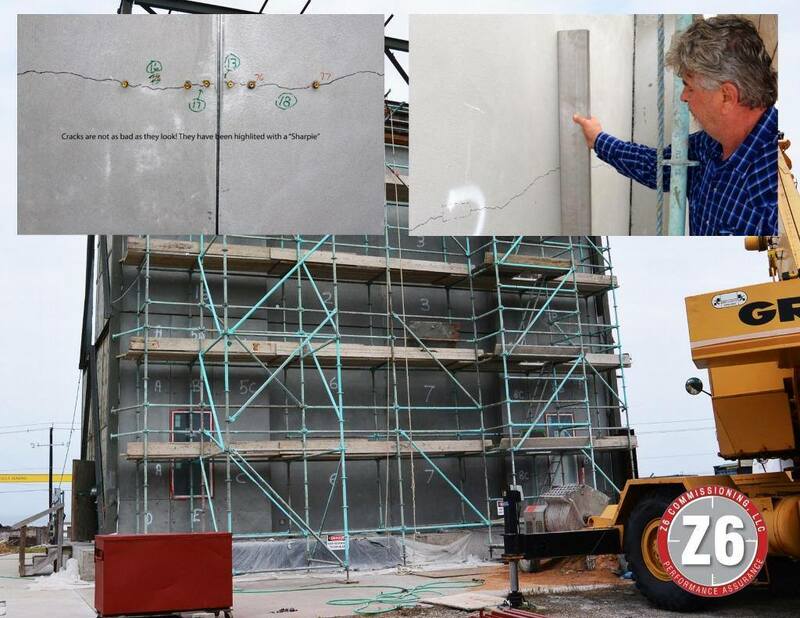 in the AEC industry love to have it separated to allow for movement of the joint during the initial stucco cure, with 60% of stucco movement occurring during the initial cure. So we, together with some sponsors who are committed to our industry, have assembled a 1500 square foot structural mock-up. We have identical panels, one has continuous lath and the opposite hand has cut lath. All control joints are wired to the lath, as they should be. This allows them to flex with the lath and stucco during cure and thermal variation because they are not pinned to the structure. FAVORITE PROJECT YOU HAVE WORKED ON? One project that stands out is the Mi Tienda (HEB store) on Little York @ 59. I was working for a rancher from South Texas that was also a contractor. It was a remodel of an old building and as it progressed some hidden conditions came to light. It was a big job on a fast track. He and I stood in front of the building and I told him how much more it would cost for the remedy – it was over 50K. I turned to him and said, “McCoy you know how long it will take to follow contract procedures and paperwork?” He took off his sunglasses and looked me in the eye and said “Rogan, we need to start right away and you’ll get paid every dime. My handshake and my word are my contracts and if I don’t stand behind them I’m not worth dirt.” He was an honorable man that paid his bills to all his subs, regardless if he had been funded by the owner. WHAT DO YOU ENVISION FOR THE FUTURE OF CONSTRUCTION IN HOUSTON? good enough. There are plenty of structures standing today that won’t be here in 50 years because water and humidity will take its toll on them.